Alake' Lumumba takes her learning to ground level. Teacher Randi Adams leads a small group in her Montessori 6-9 class. Alana Harp works on an exercise as her classmates go about their work. 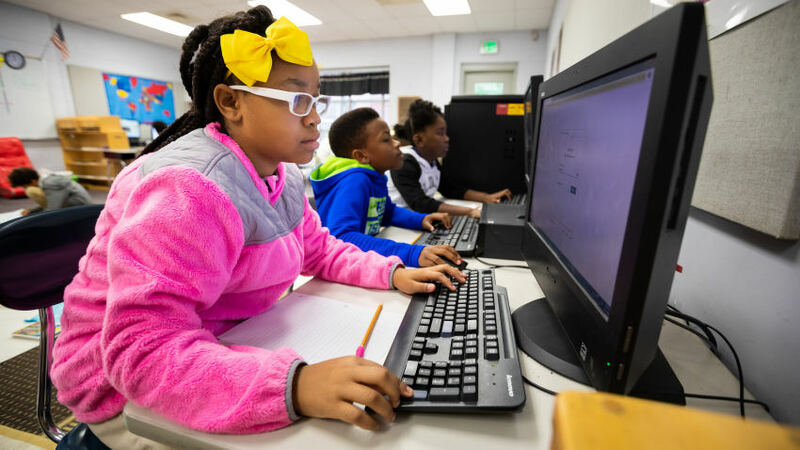 Students, left to right, Madisyn Bennett, Lawson Carter-Price and Ariel Bracey perform computer exercises. Mason Trotter constructs a tower of pink cubes that become smaller toward its pinnacle. 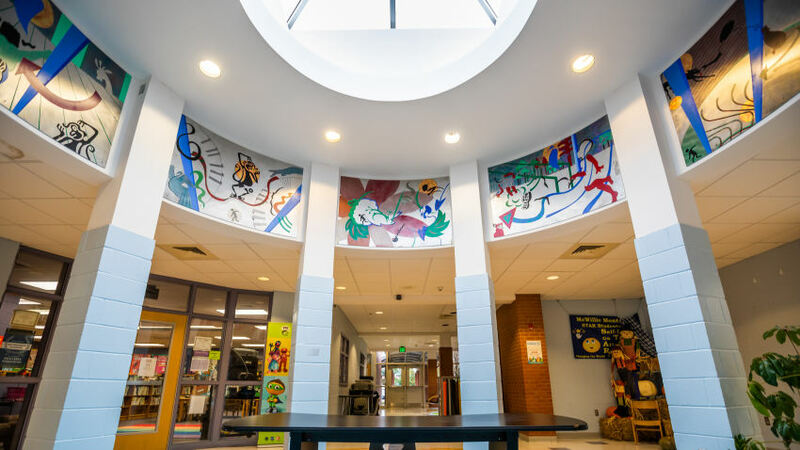 The central atrium at McWIllie is adorned with a colorful mural. McWillie Elementary Principal Sara Harper pops into a pre-school classroom and is nearly hobbled by a knee-high hug. The pair of giddy 3-year-olds tell her all about the “hotel” they’re building, and her encouragement makes their grins grow. 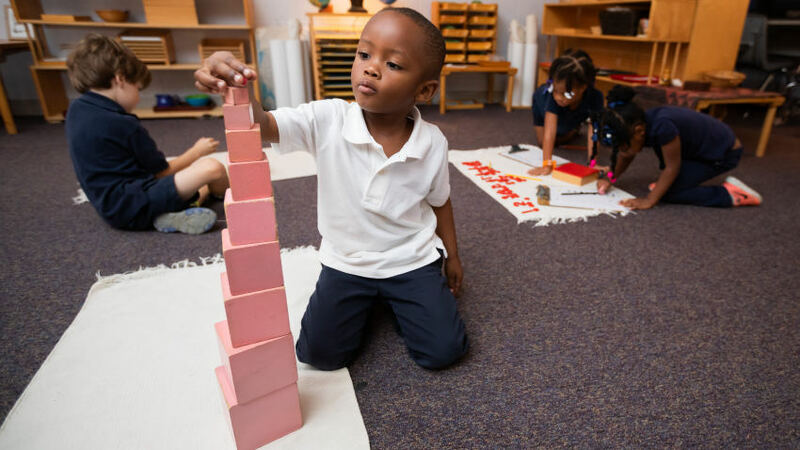 McWillie Elementary, the only public Montessori school in the state, starts with students at age 3. “We have two additional years that everybody else doesn’t have, that we can work with our students and build and start early,” Harper says. About 75 percent of McWillie’s 447 students are in the Montessori program. McWillie also has traditional kindergarteners from nearby Boyd Elementary’s overflow, who return to Boyd for first grade. Montessori’s multiage classrooms also set McWillie apart. Children have the same teacher for three years — three teachers total through age 12 (6th-grade level). Younger kids look up to the older ones, who help them learn. That builds a family community in the school. “It boils down to a learning community, and it’s really an extension of the home,” Harper says. Natural lighting, plants, wooden furniture and earth tones enhance that. 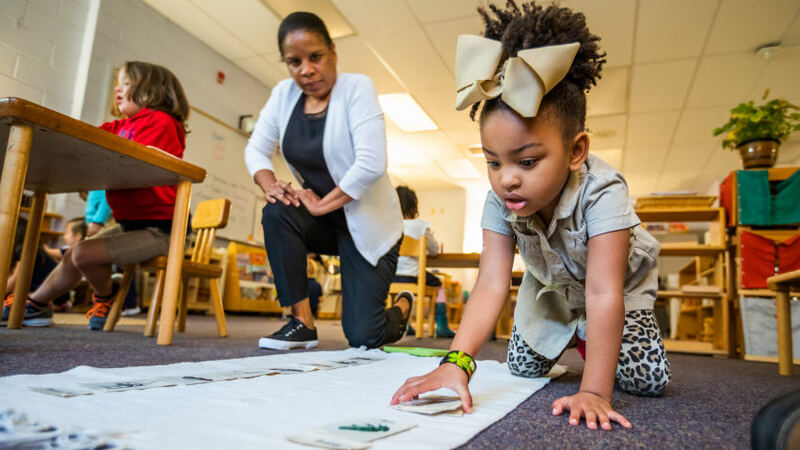 “Everything that we teach, especially in ages 3 to 6 and 6 to 9, is with hands-on, concrete materials” to help students understand the math and language standards and make abstract concepts clearer. 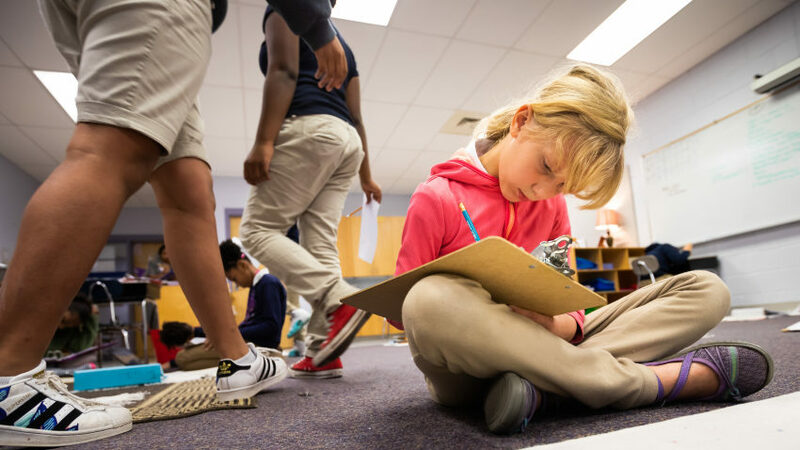 “We use our Montessori curriculum to teach the state standards. 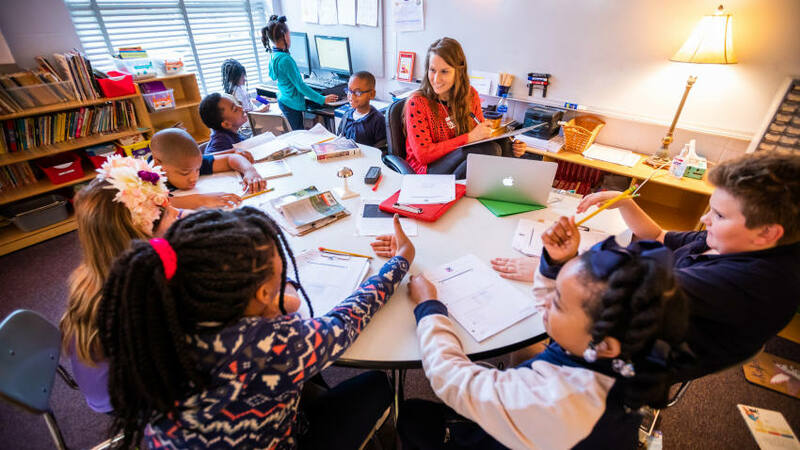 About 100 Jackson students apply each year for McWillie; siblings of students in the program are looked at first in the process. An observation, rubric score and number of available slots are considered. In a classroom for ages 3 to 6, where most are engrossed in individual tasks, the teacher leads a trio of youngsters in a hands-on lesson in shapes. One little girl sits off to the side, not part of the lesson but intrigued nonetheless. “A lot of times, we let them watch,” Harper says; the program builds on that natural curiosity.